Eight U.S. Soccer Development Academy clubs in the northeast region are creating the Northeast Girls Development League. 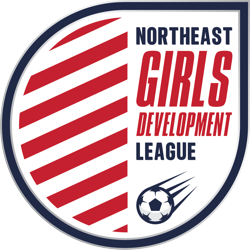 Kicking off this fall, the Northeast Girls Development League will provide a competitive 10-month-long league for 12-U and 13-U girls Development Academy teams to develop their abilities at an elite level. • Paul Riley, FC Albertson & FC Fury: "This a huge step in the development process of our younger players. A club’s culture is important, and finding common ground among different clubs to build collective strength is massive. A competitive environment is a must for any player and program. We are proud to launch this endeavor with such a great group of clubs." • Nick Burke, NEFC: "NEFC is excited to be part of the newly created Northeast Girls Development League. This league will provide a great platform for our younger players’ development and growth in a highly competitive environment. We are looking forward to working with other like-minded Development Academy clubs to keep improving our coaches and players." • Christian Gonzalez, New York Soccer Club: "NYSC is proud to be a founding member involved in the creation and launch of the Girls Pre-Academy League. The league will provide a platform for our 12s and 13s vs. top teams from like-minded Development Academy clubs. Our young players will be challenged weekly in competitive matches, and that will enhance and accelerate their pathway. Our younger players will get a chance to embrace the Developmental Academy game day environment and will prepare them for their journey into full Academy in the following years." • Matt Cameron, Oakwood SC: "Oakwood is proud to be involved in the creation and launch of the Girls Pre-Academy League. Our young players will be seriously tested week in and week out, and that’s fantastic for their development. This experience each match will also benefit the players as they become immersed in our club culture." • Chris Scott, Seacoast United: "Seacoast United is excited to be part of the 12-U and 13-U Northeast Girls Development League. This allows us to give players a clear pathway into the Girls Development Academy from an early age to help with their long-term development. We are ready to work with the other clubs, who share common goals, to help offer a development league which will provide our players meaningful competition." • Liz Lima, South Shore Select: "Select is excited to be a part of the Northeast Girls Development league. The Pre-Academy League will provide our younger players a unique pathway to experience the culture of the U.S. Development Academy at an even younger age. We are looking forward to working with other like-minded clubs in an environment where the focus can remain on competitive player development and collaboration." • Tim Verschuren, STA: "We, as STA, are excited to be one of the founding members involved in the birth of the Girls Pre-Academy League.. We are looking forward to having our younger teams involved in this platform and give them an incredible experience as well as the best daily environment to keep improving on and off the field."